This undocumented env var was mentioned on the XSI mailing list back in 2008 (ice tree background), but I found out about it another, more brute force, way. The default project is the active project at startup (the project whose name appears in the Softimage title bar). When you first install Softimage, the default project is XSI_SAMPLES. The Preset Manager won’t pick up presets from anywhere else but the factory location (%XSI_HOME%\Data\DSPresets\Materials). At first I thought I was doing something wrong. Then I used Process Manager to confirm that Softimage wasn’t loading presets from my User location. Then I checked for old bug reports/feature requests, and I double-checked the actual code for the preset manager. There’s an environment variable XSI_DSPRESETS that specifies the location of the material presets, but you cannot use it to override the factory location. 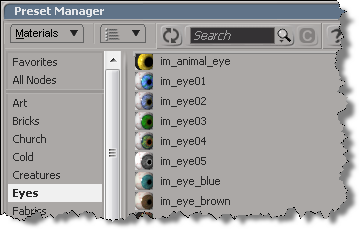 Even if you change that environment variable, Softimage reads only the factory Data\DSPresets\Materials folder. To have Softimage start up with a certain layout, you don’t really have to do anything. When you exit Softimage, it writes the current layout to your preferences file, so that the next time you start Softimage it starts up with that same layout. 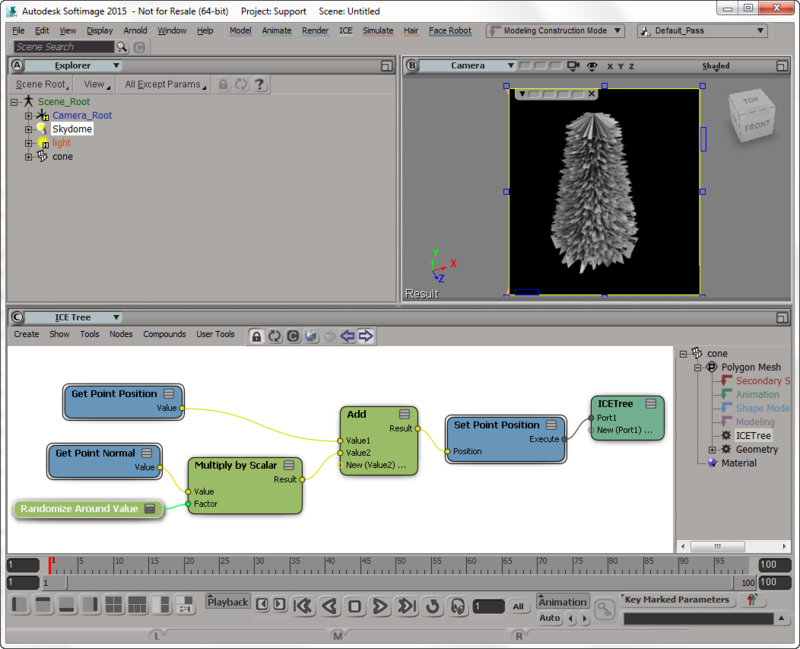 So when I start Softimage again, it will start up in the Tools Development Environment. Softimage saves your preferences to %XSI_USERHOME%\Data\Preferences\default.xsipref when you exit Softimage. 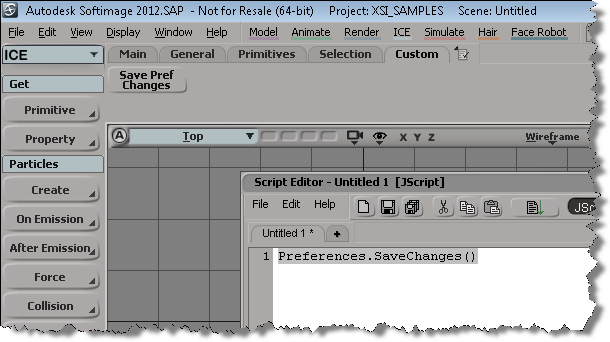 If you want to save your current preferences, you can use the Preferences.SaveChanges() method. Just drag this JScript to a toolbar to create a script button. You probably want to make the button a Script Command (external file), so you can assign a keyboard shortcut to it.